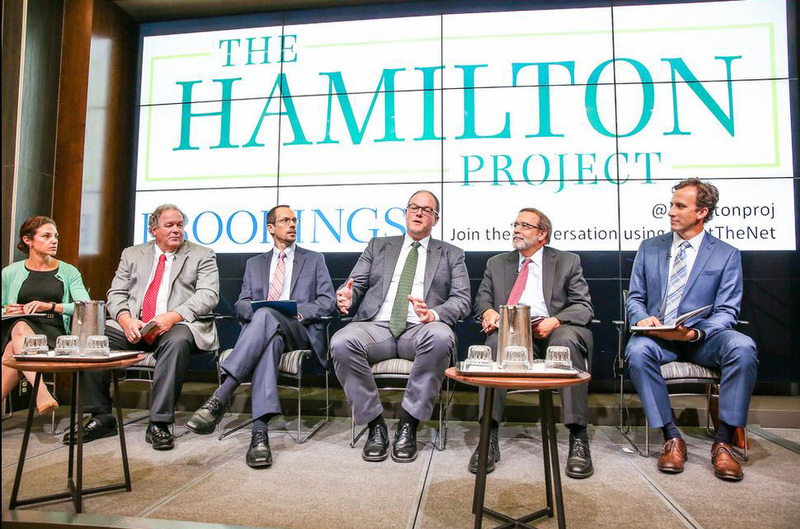 I was honored to participate in a panel hosted by the Brookings Institute and the Hamilton Project that featured a thoughtful discussion on how to improve the economic prosperity and long-term sustainability of the U.S. fishing industry. To frame the discussion, the Hamilton Project released an economic overview of the U.S. fishing industry, and panelists reviewed and discussed a new paper by economist Christopher Costello of U.C. Santa Barbara which calls for a getting fishermen the socio-economic data they need before making game-changing decisions about management of their fisheries. The forum opened with remarks by former U.S. Treasury Secretary Robert E. Rubin who noted that the Hamilton Institute, an economic policy initiative of the Brookings Institution, had never before focused on a specific industry, but chose to do so because of the importance of natural resources in general, and fishing in particular, to the U.S. economy. Dr. Costello was joined by a commercial and charter boat fisherman and representatives from NGOs, including myself. As you might expect with such a diverse group, a robust discussion followed. I expressed EDF’s view that there are tremendous benefits to giving fishermen and other stakeholders more information on the socio-economic benefits of catch shares compared with conventional management. John Pappalardo, Executive Director of the Cape Cod Commercial Fishermen’s Alliance noted that having more in-depth analysis at the time the New England catch shares program was under consideration would have been helpful. Steve Tomeny, a charter boat operator out of Louisiana, observed that he and other charter boat captains believe catch shares could offer benefits for their sector, similar to those commercial red snapper fishermen have enjoyed – a belief that could be tested by the analysis the Costello paper would require. While some expressed concerns about finding resources to fund the proposal—especially during a tough economy—others reiterated that the bolstered economic state of sustainably managed fisheries would offset these costs. Better access to information and continued discourse between fishermen and regulators will continue to produce workable solutions for managing ocean resources. It was clear that all panelists agreed that more socioeconomic data should be provided to fishermen when they are making decisions about their livelihoods. As Congress is currently considering reauthorizing the Magnuson Stevens Fishery Conservation and Management Act (MSA), the nation’s fishing law, this discussion comes at an important time. It was a privilege to share the day with former Secretary Rubin and the distinguished panel. It was even better to hear a frank and cordial exchange about the tremendous gains the United States has made in rebuilding fish stocks and creating sustainable fishery management and how we can improve even further. While there is still work to be done, we applaud the solid foundation for sustainable management that fishermen, fishery managers and other stakeholders have built in recent years. The resounding message from the forum is that Congress needs to continue to carry this progress forward so that the tough sacrifices fishermen have made for conservation will result in a sustainable and economically thriving future for fishing communities. This entry was posted in Domestic and tagged Catch Shares, Magnuson Stevens Act, MSA, national policy, socio-economic data, sustainable fisheries. Bookmark the permalink. Both comments and trackbacks are currently closed.